I will collect personal stories from four women that have experienced harassment in a professional environment. I will “wear” digital masks / digital representations to portray the four women and will perform the collected stories for an audience. 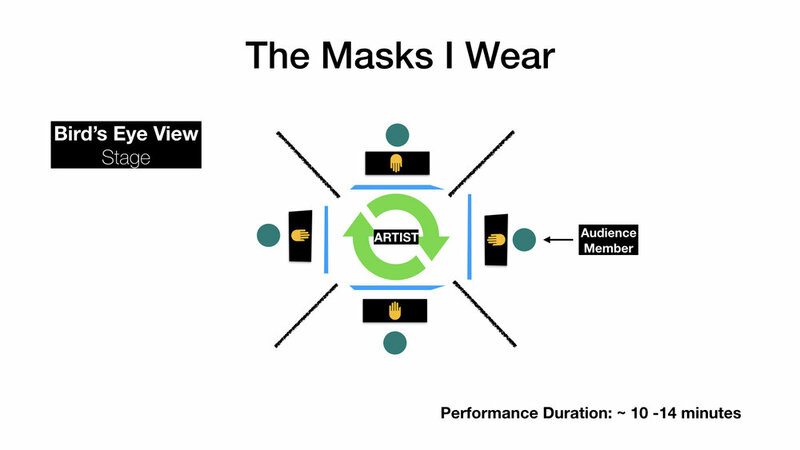 I will also share my own experiences during the performance. The audience members will be escorted by an individual to their seat. 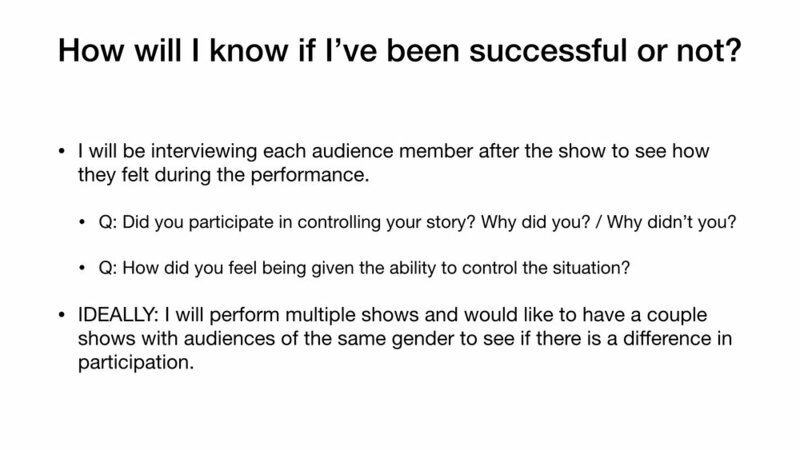 Each show will only hold four audience members and each member will be assigned an individual narrative from one of the women. 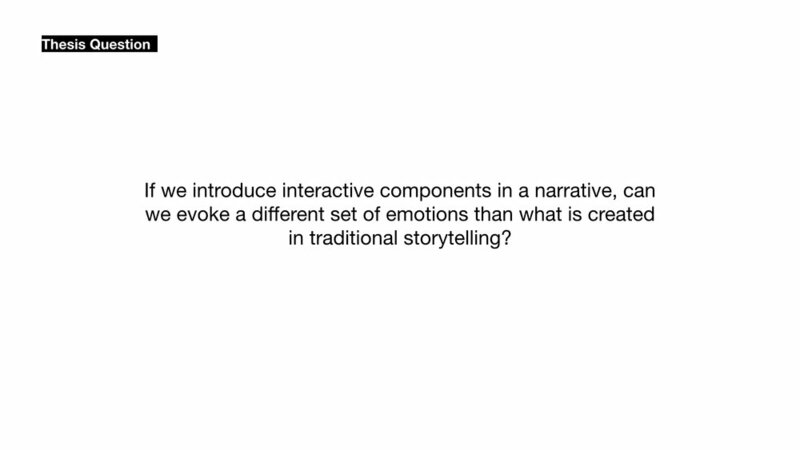 Through physical interaction, audience members will be able to influence how much of the narrative they are paired with is told. 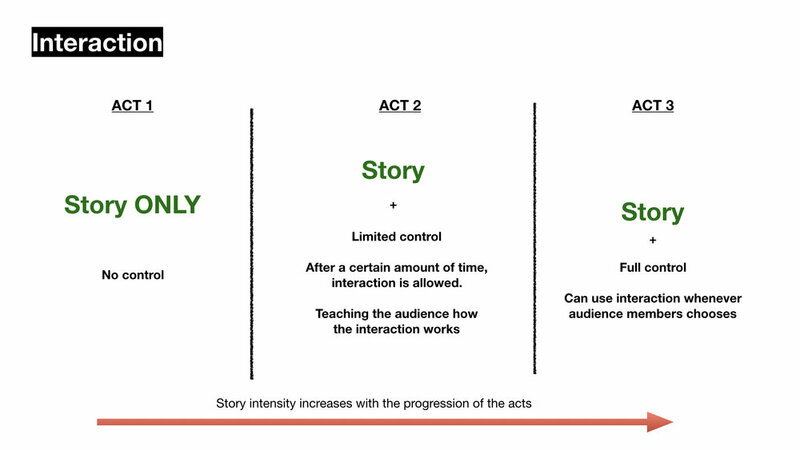 This interaction will challenge the audience by putting them in a position of power and control. I will be sitting in a rotating chair and will rotate to face the audience member that has requested control. Depending on the amount of control and attention the audience members want in ACT 3, I assume that I will be whipping around in the chair to try to keep up with the demands. ACT 3 will be the most intense part of the story. It will also be very challenging for me to keep up, I speculate.